(MoneyWatch) There may be a compelling argument for filing your tax return early this year. A new report by the Consumer Sentinel Network, a law enforcement coalition focused on identifying and fighting fraud, says that the nation's fastest growing crime involves stealing Social Security numbers to grab your tax refund. If the crook files a tax return before you, your refund could be delayed for six months or more. And you could be forced to spend hours with tax authorities trying to establish that you really are the taxpayer you say you are. "These are the most complex cases we have at the IRS and we have to make sure that we have the right taxpayer," says Julianne Breitbeil, an Internal Revenue Service spokeswoman in Washington, D.C. "In some cases, we've had perpetrators trying to tell us that they are the victim." A consumer website called GoBankingRates estimates that some $5.2 billion in tax refunds have been stolen so far this year. If accurate, that's likely to be just the tip of the iceberg. The IRS says it stopped roughly 5 million tax returns, asking for $20 billion in refunds, in 2012 as the result of suspected fraud. That was up 60 percent from year ago levels. The number of taxpayers who have been assigned "identity protection PINs" -- the taxpayers whose cases have been investigated long enough to determine they've been victimized -- has tripled. There are now 770,000 taxpayers with these special pin numbers and their ranks grow daily. The Consumer Sentinel report showed about a 43 percent growth in this crime -- far and away the fastest growth of any type of consumer complaint. Tax and wage identity theft occurs in numerous ways, says Steven Toporoff, attorney with the Federal Trade Commission. 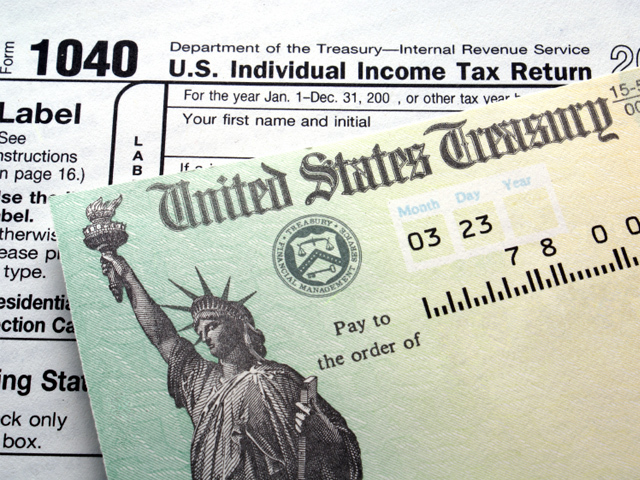 In some instances, thieves use both the taxpayer's name and Social Security number to get their refund. For example, some crooked tax return preparers may purport to file on a client's behalf, but then steal the refund. In other instances, thieves use the taxpayer's Social Security number, but use their own or a phony name. They often get around dealing with check cashing problems by having the refund loaded onto a downloadable debit card designed for people without bank accounts. Many of these bogus returns slip through the system as the IRS processes the bulk of the 140 million tax returns filed each year electronically. Well aware that too many fake returns have sailed through the system and delivered checks to criminals, the IRS is now using an increasing number of electronic "screens" aimed at stopping fraudulent refunds before they go out the door. But the agency faces a difficult balancing act. With the average tax refund amounting to roughly $3,000, many taxpayers anxiously await the return of their funds and are justifiably upset when their refunds are delayed. And the sort of red flag that you'd expect to trigger a fraud alert, such as having a refund sent to a new address or an unfamiliar name, happen millions of times each year for honest reasons, like the taxpayer marries or moves, says Breitbeil. The most common way a taxpayer would discover that he or she is a victim of refund fraud is by getting a rejection notice when attempting to file a tax return electronically. If that happens, the IRS suggest that you immediately file a paper return and fill out their identity theft forms. Unfortunately, you are likely to face a long and difficult process to establish your identity and claim your refund. Breitbeil estimates that each tax identity theft case takes roughly 180 days to resolve.